Raw Milk And Pasteurized Milk: Which Is Healthier To Consume? For the past several years, there has been an ongoing debate between raw milk and pasteurized milk consumers over the merits and demerits of their preference. For the past several years, there has been an ongoing debate between raw milk and pasteurized milk consumers over the merits and demerits of their preference. Raw milk is available commercially in health stores and is not treated in any way. On the other hand, the process of pasteurization attempts to kill harmful pathogens by heating the milk at a high enough temperature, followed by rapid cooling. Those in favor of raw milk consumption have suggested that it is nutritionally better because the essential nutrients, such as vitamins and minerals, have not been destroyed by the rapid heating and cooling employed by pasteurization. Raw milk has been termed as a living food enriched with colloidal minerals and biological enzymes necessary for the absorption and utilization of the minerals and proteins. According to some studies, raw milk has been shown to contain elements that prevent joint stiffness and other age related disorders. People who prefer raw milk state that it tastes better than pasteurized milk. There are, however, potential hazards with respect to raw milk consumption. Raw milk contains a wide variety of lethal bacteria such as Salmonella, E. coli, Listeria, Campylobacter, and Brucella, which are the causative agents of various infectious diseases and could possibly lead to death in severe cases. It has been reported that a realistic threat to health exists due to the contamination of raw milk with human pathogens. Handling and hygienic storage could be an issue with raw milk. Several milk-borne health outbreaks were traced back to raw milk consumption in the USA from 2000-2008. Due to minimal processing, shelf life of raw milk is low. It makes milk safe to drink without fear of food poisoning and disease causing pathogens. 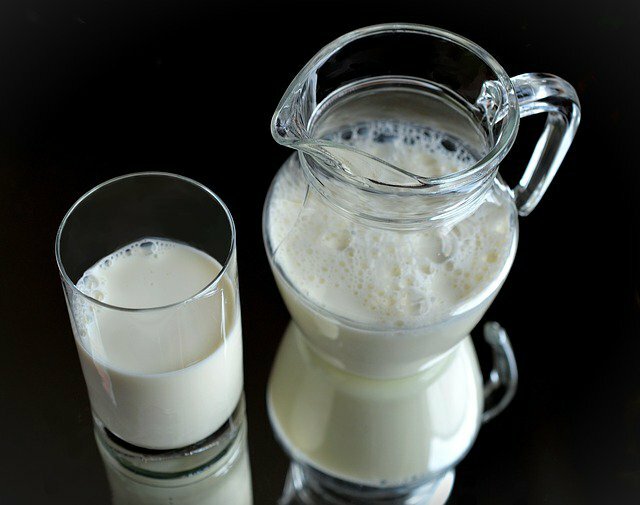 Pasteurization offers increased shelf life of milk. However, there are also some concerns that have been raised regarding pasteurized milk as well. It has been suggested that the process can harm the nutrient profile of the originally obtained milk, killing the beneficial bacteria needed for digestion and metabolism. Pasteurized milk has been shown to interfere with calcium metabolism in the human body. According to one study, pasteurization kills beneficial bacteria like Lactobacillus sp., which makes milk ferment with bad bacteria over time. Pasteurization also has been suggested to reduce the amount of vitamins, especially C, B6 and B12, and denature fragile milk proteins that could be useful to our immune system. It reduces the iodine content in milk by 20% and renders the majority of calcium present insoluble. Scientists and government organizations, after carefully weighing in the benefits and potential threats to health, recommend that consumption of pasteurized milk is safer than drinking raw milk, as it causes less occurrences of infectious diseases. The choices people make are very personal to them. Both types of milk have their share of benefits and health issues. While more people are consuming raw milk today, others have decided to stick to the safer alternative of pasteurized milk.